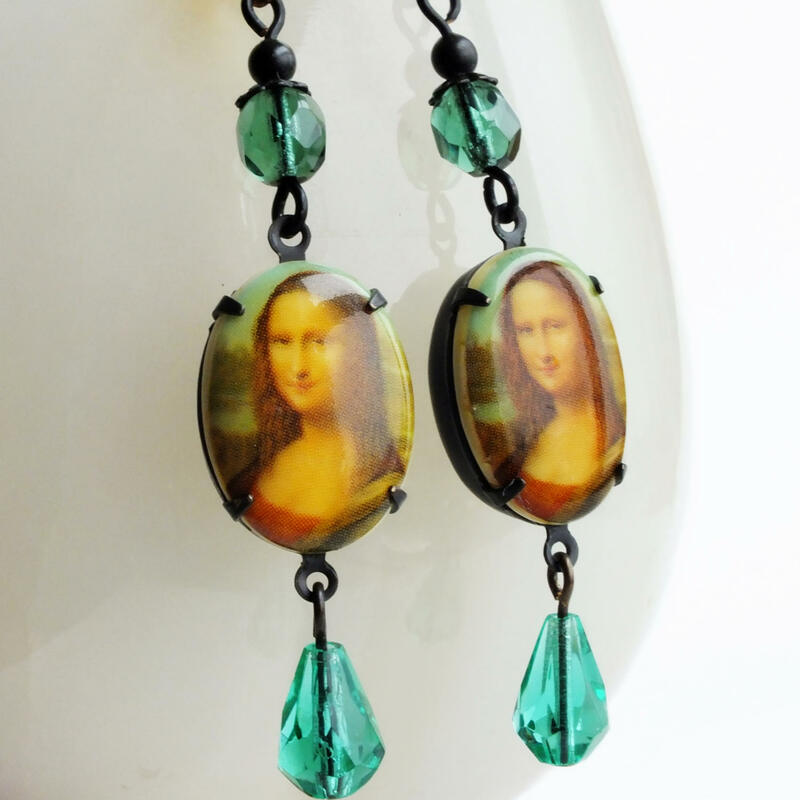 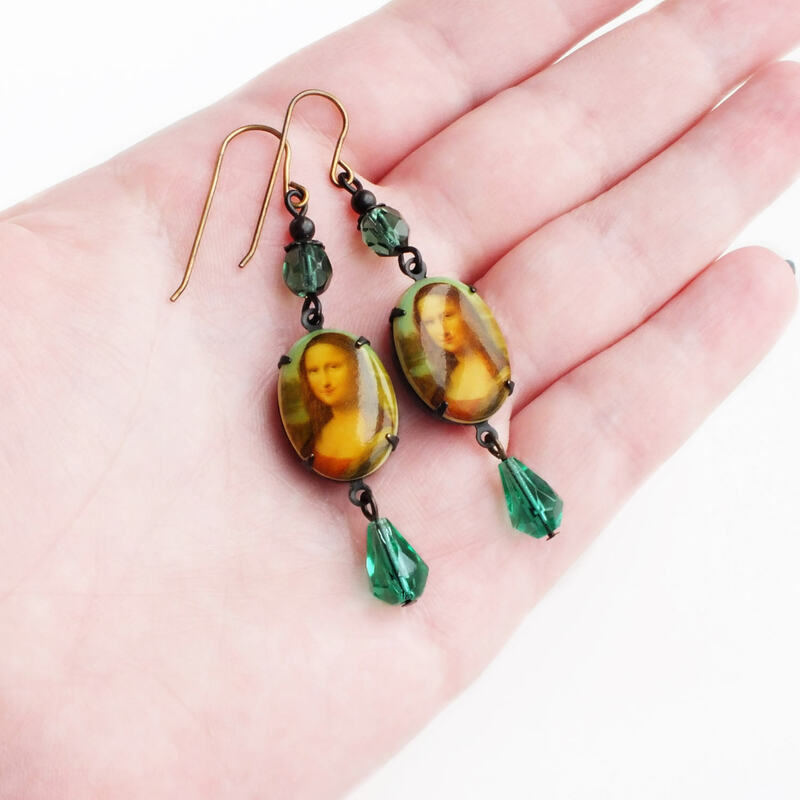 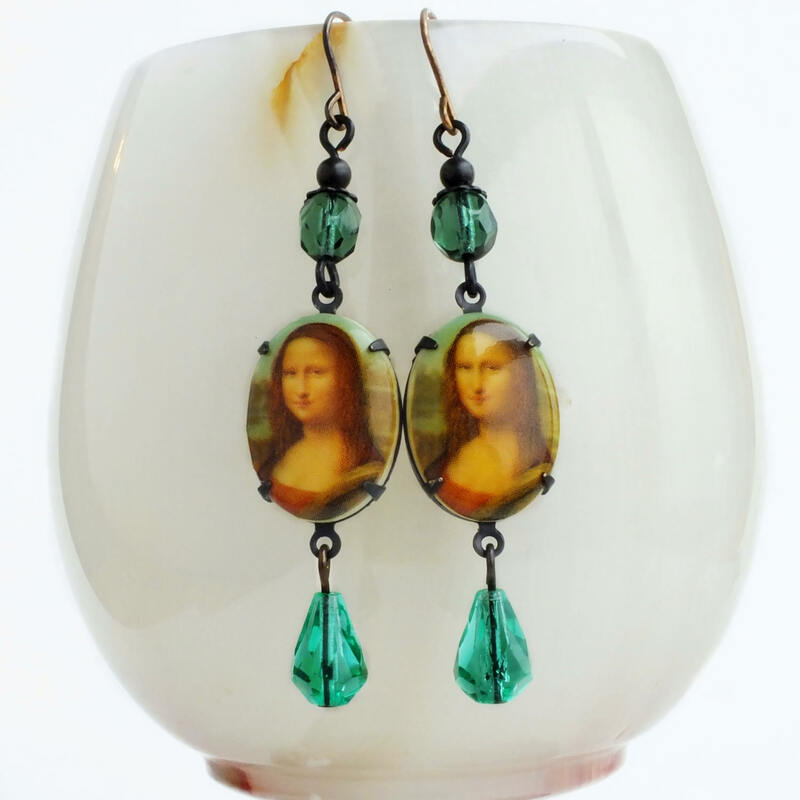 Handmade Mona Lisa earrings with vintage iconic fine art Leonardo Da Vinci oil painting cameos. 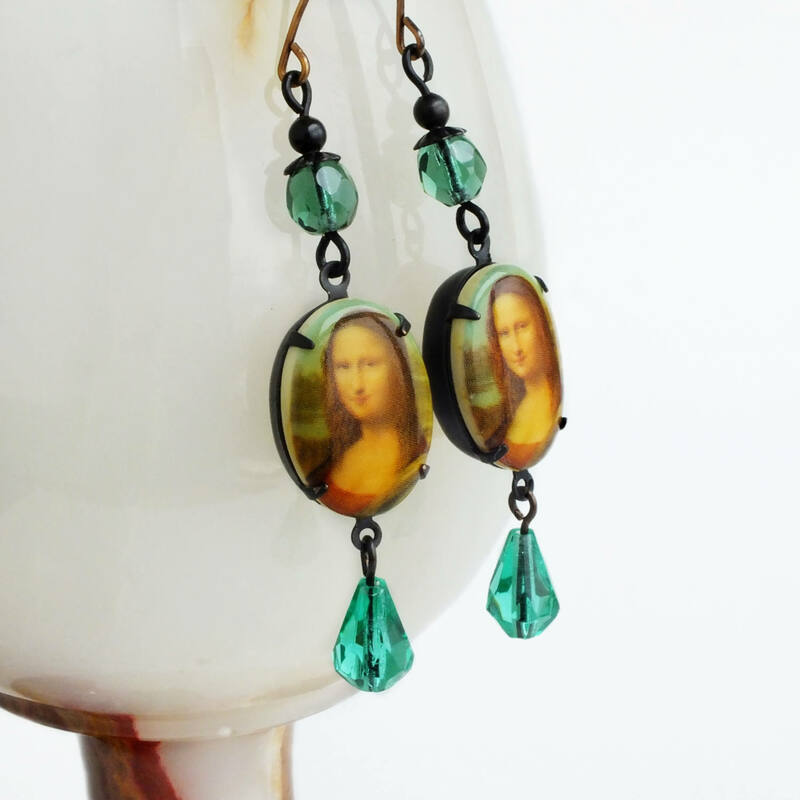 Made with gorgeous detailed cameos of The Mona Lisa set in dark weathered brass pronged frames adorned with light turquoise green and Turmaline Czech glass beads. 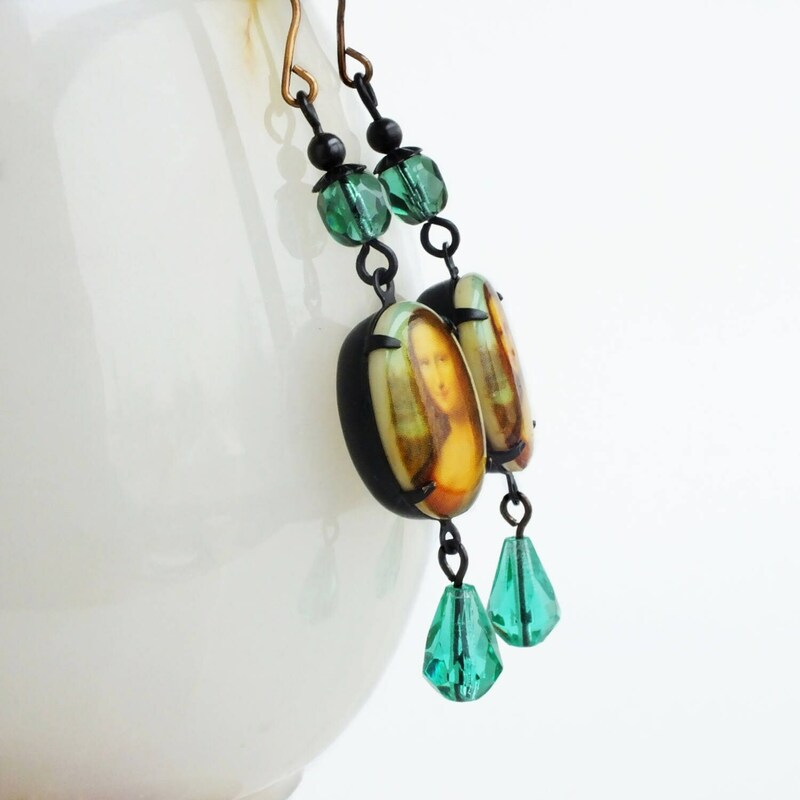 The colors are so rich!